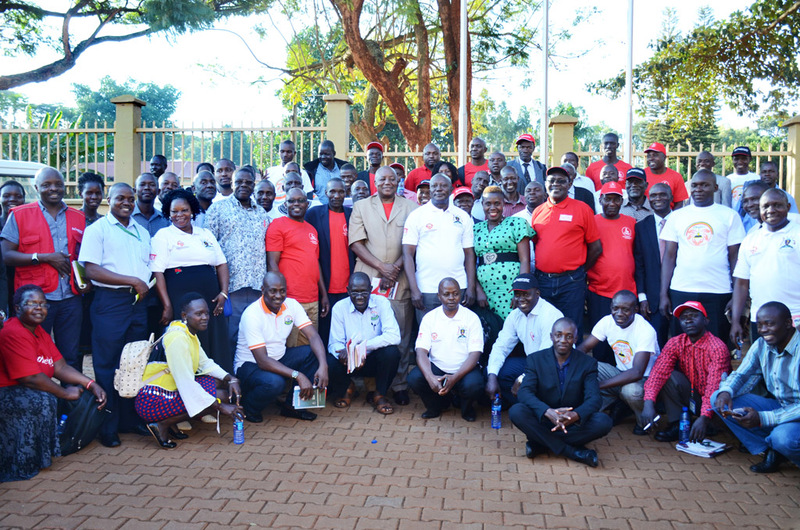 On 6th July 2018 Cooperatives gathered at Civil Service College in Jinja for the National Cooperatives Symposium under the theme “Sustainable Community Development through Cooperatives” basically how cooperatives can effectively have a positive impact on the surrounding communities. Looking at a case study of Kibinge farmers Coffee cooperative an agriculture cooperative that deals in coffee from Bukomasimbi, Rukiga Sacco a financial cooperative from the western region of Uganda and Kyegegwa Rural Energy cooperative from Kyegegwa. David a Manger from Kibinge Coffee Farmers Cooperatives Society in his presentation show cased how the cooperative serves its members by giving them training whilst providing genuine coffee seedlings etc. He said “The reason why some cooperatives fail is because they don’t fully cater for their members. 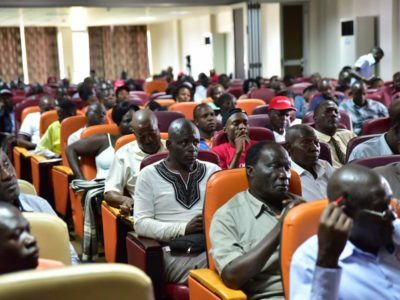 The Uhuru Institute for Social Development presented a report on the state of cooperative from the report which they launched on the IK Musazai memorial lecture that was part of the week-long celebrations for cooperative. 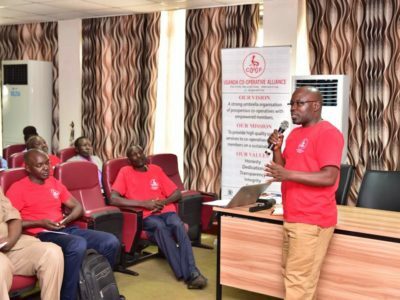 According to the report presented by Jane Amuge of Uhuru, 72% of Ugandan Cooperatives are relying on internal finances, 12% are benefiting from external finances and 16% using loans. She recommended that cooperatives should engage government and come up with comprehensive solutions that will support them to self-regulate. The State Minister for Cooperative made the closing remarks, in his is remarks he assured cooperatives that they are a force to lift Uganda to middle income status, he added that “if we work together we can contribute tremendously to the GDP our presence will be felt”. After the symposium the cooperators engaged in Sports the men played football as the women played netball to close of the day.